Home News Boris’s resignation speech – did he flunk it? 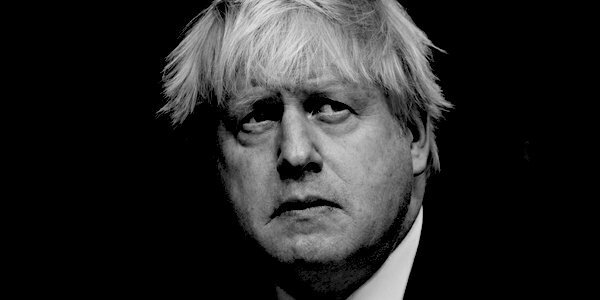 Boris’s resignation speech – did he flunk it? Johnson’s speech was restrained but nevertheless damning of Theresa May. That was the Telegraph’s verdict. Not damning enough was mine. As Johnson sat down I sighed. He’d flunked it again. He’d avoided going for the kill, going for the jugular, what you will. We are now doomed to more May and forever May, I thought, through to and beyond the next election. If the time was not right before to take her out, and was not right on Wednesday, it will never be right for the pusillanimous Tories – all envious of each other’s leadership prospects. Would Shakespeare have written this as a comedy or as a tragedy? My late husband had an adage about top TV presenters. ‘You have to be prepared to walk on broken glass,’ he said. The same applies to politics. However talentless Mrs May may be, there is one thing she is prepared to do and that is to walk on broken glass. Whoever last sat on her face (click the link to understand the metaphor), and however many times she backtracks, she still feels no pain. If she did she would have resigned by now. Sticking to the task takes either conviction, obduracy or principle. Winston Churchill had obduracy and principle. Mrs Thatcher had principle and conviction. Mrs May just has obduracy. Unlike Boris, she appears to care neither for popularity nor support. Unfortunately for Boris his ego is such that he does. But fragile ego apart, Boris has neither sufficient principle nor the conviction nor the necessary obduracy to go it alone. I’m told the fact that no one in the party would follow him is the reason he flunked it. That is sad given the model of the man he’s studied most, Winston Churchill. Was his hero foiled by lack of popularity? If his biographer Martin Gilbert’s account is to be believed, Churchill’s years out of office between 1929 and 1939 (the ‘wilderness years’), which were marked by his dispute with the governments of the time over what sort of defence policy was needed in face of growing German re-armament, were principled. When Britain declared war it is notable that Churchill was still out of office. The truth is these were not wilderness years – they were years of one-man opposition. What history should teach Boris is that without a leader, or leadership, there is no one to follow. Risk is its key ingredient. Anyone who watched the ghastly (in my view) characterisation of Churchill in the film The Darkest Hour should know that even after his ‘devastating, detailed and unanswerable attack on the Government for allowing Germany to overtake Britain in the air’, and even after being called to lead the government, he had largely to go it alone in Cabinet, with little support and much downright hostility in face of his refusal to negotiate peace with Germany. OK, so Boris did diagnose the ‘Brexit problem’, for which he has won credit, but let’s face it, that was not difficult. He could have, long since, settled for the back benches and pursued his own one-man opposition. Now he has most likely squandered the final opportunity (for Brexit). He should and could have walked through the door left open by David Davis’s unaccountable post-resignation interview on the BBC’s Today programme, in which through mistaken party loyalty he committed to supporting Theresa May’s leadership. Trap or not, that was the opening to the Brexit moral high ground that Johnson failed to claim. With those final words, whatever his personal leadership prospects, he would have surely gone down in the nation’s history books not as the far better man than the grievance-driven Geoffrey Howe, to whom he has now been poorly compared, but as a national hero. Boris’s speech was quite clever. Had he modelled it on Geoffrey Howe’s fabled 1990 equivalent on Margaret Thatcher, mounting a personal attack on Theresa May and culminating in an explicit demand for either her resignation or a challenge to her leadership, it would almost certainly have backfired, and been counter-productive. Second, Boris recognises the political realities of that current Remainer-dominated Tory Parliamentary arithmetic. On a direct challenge via 48 letters expressing no confidence in May to the 1922 Committee, leading to an internal ballot among MPs, she’d probably win and survive, possibly even strengthened. Moreover, under the Tories’ election rules, she’d be secure for another year. And that would mean goodbye to any hopes of replacing her Soft-Remain (non)-Brexit with one more aligned not only with her January 2017 Lancaster House speech, but also with the one which 17.4million people clearly voted for. Third, there isn’t a figure waiting impatiently in the wings and sharpening the dagger in gleeful anticipation of wielding it, unlike the odious Europhile Heseltine in 1990. Rees-Mogg, arguably the obvious contender, has been scrupulously polite, both about May and (albeit unconvincingly) about her openness to persuasion that she needs to change course. Instead, Boris praised May fulsomely for the post-Brexit vision she had articulated in her Lancaster House speech, particularly the commitment to leave both the Customs Union and Single Market, and especially her assertion that No-Deal was better than a bad deal. The potentially lethal rapier to the heart of her leadership came as he went on to note, regretfully, the myriad ways in which that vision had since then – by implication as a result of May’s own inherent lack of personal commitment to Brexit, undue reliance on less-than-impartial advisers, excessive caution, political timidity and lack of ambition – been progressively weakened and/or abandoned into the subservient vassal-statehood proposed in the egregious Chequers Deal, which he accurately summarised as a ‘miserable, permanent Limbo’. The effect was metaphorically to put the May-Robbins Soft-Remain (non)-Brexit Chequers Plan through the shredder, cut up the strips, and burn the pieces. There was, Johnson concluded, still time to repudiate this misguided approach, and salvage a proper Brexit. In other words, pleading specifically for a change of policy, rather than a change of its executant. Astutely, that still leaves room for Boris, or another, to revert to the personal if and when, as she undoubtedly will, May obstinately refuses to budge and ploughs on regardless with the Chequers Deal (or worse, because the Parliamentary votes of Monday and Tuesday this week have in effect rendered it dead on arrival in Brussels). The speech placed the lid atop May’s political coffin, but didn’t start to screw it down. The unmistakeable message was: she could still climb out of it. If, that is, she wants to. I’m not a huge fan of Boris: he’s a dilettante, a gadfly, and prone to indiscretions. But when he decides to be serious, and he means it, when his personal interest aligns with the country’s, he can be formidable, even statesmanlike. Wednesday was one such instance. Fortune favours the brave, but not necessarily the reckless. Had Boris gone straight for the jugular, it wouldn’t have worked. As it is, a warning shot has been fired close across May’s bows, but the guns are still shotted, primed and aimed. Previous articleTime to end the BBC licence fee? You vote!